Beginning this week, single-use plastic bags will no longer be provided for patrons at the Customer Service Desk. 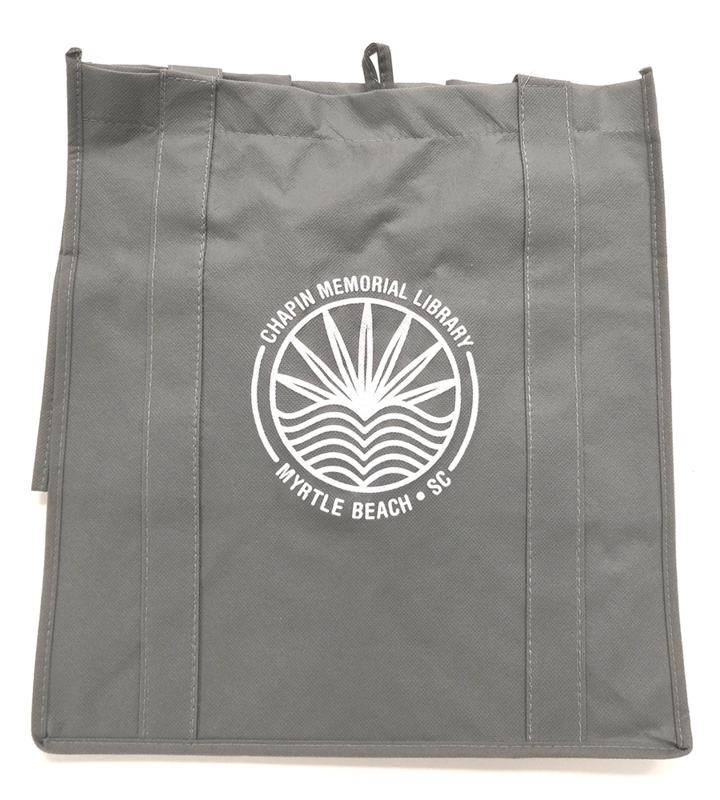 You are encouraged to bring your own reusable bag or purchase an environmentally conscious, reusable tote bag from the Friends of the Chapin Memorial Library? The cost is $2.00 per bag and all proceeds benefit the Friends. Use them for the beach, use them for the store, but we like it best when you use them for books! Axis360 is a new eBook and eAudio download service from Baker&Taylor for Chapin Memorial Library cardholders. Patrons can checkout and download up to three titles at a time for two weeks. Popular authors in the collection include Brad Thor, Fern Michaels, Kristen Hannah, Rick Riordan, and many more! Books for younger readers are also availble including titles from "The Diary of a Wimpy Kid" and "Harry Potter" series. The Axis360 app works on iOS, Android, Kindle Fire, or read in your web browser on your computer. Consumer Edition - For the general public with clear and easy to understand information. Professional Edition - Contains advanced information intended for medical professionals and students. Veterinary Edition - For veterinarians and other animal health professionals.